And yet another poster with a weird looking head. Seems there are a lot of those this days. As for the rest of the poster, I think like the spirit of it. It seems like it tries to move on from relying solely on brand recognition and tries to turn X-Files 2 into something that can stand on its own as an exciting event. But it doesn’t abandon the brand. It’s there. It’s obvious. It’s just not overwhelming. But I also think that the spirit is a lot better than the actual design and execution. Snow, some helicopters in the back, something that seems like a small army. The point is to say that something big is happening, but the way those things are arranged doesn’t make it feel big. And we still have no idea of what is happening exactly, which just might be okay for right now, but is something that I think is going to have to change in the forthcoming posters. So, again, why should I be excited about another X-Files, so many years after the last one? Hopefully the next poster will make a better attempt of answering that. 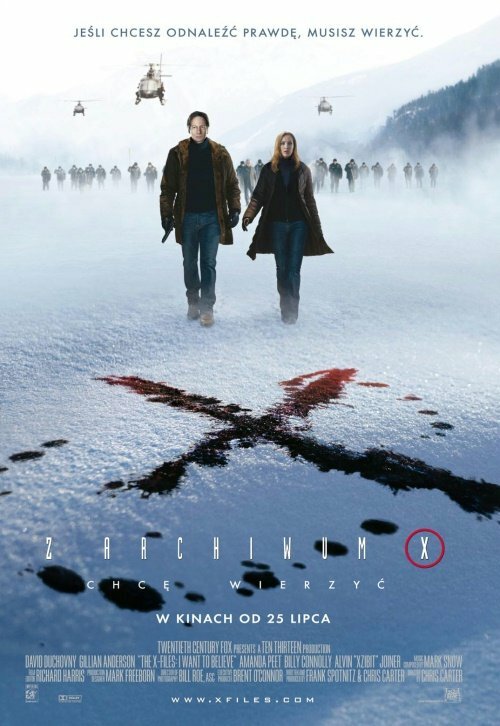 Gus, I was too young to watch the X-Files, but the posters which you’ve shown were precisely what made me start watching the series in order to “prep”, so to speak, for the movie. So yes, I was sold by both posters. The first one was nice and dark, and this new one shows Mulder and Scully caught up in action and intrigue. I like it! Also, is it me, or do they look like they’re just *almost* holding hands?